A good article by Emmanuel Eshun showing how violence leads to further violence and does not follow the principles of God’s government. Violence, force and compelling power never establishes peace, it only hides the rebellion. It beats the rebellion into the shadows where the rebels become obedient outwardly but remain rebels in heart. The rebels await the opportunity to revenge by gathering a bigger force whether by intrigue, slander, deception, or ingenuity. Christ said he who takes the sword perishes by the sword. This is a natural principle. God has sought to teach this to humanity for the past 6000 years but we’ve been very slow to learn this principle. Take the history of Israel for instance. God even permitted Israel to use violence in obtaining their land though that was not His ideal method. And surely, they lost it by the sword, and till today, the sword has never departed from Jerusalem, “the city of peace”. What irony! Take another potent example of this principle, the history of world powers. In the book of Daniel chapter 7, we have revealed in astonishing details the history, the methods and principles of world powers from the time of Babylon till the 2nd Coming of Christ. God shows from this demonstration that force/violence never establishes peace but only more violence. In this prophecy we find a tremendous power (Babylon) arise on the world scene, wielding the sword. She conquers all by the sword, violence and compelling power. She beats all dissenters and rebels into submission through the deterrence of the executing sword. This notwithstanding, Babylon falls to a less powerful nation, Persia, who managed to prey on Babylon’s weakness to bring it down. But by what method did Persia gain control of the world? By the sword! By Christ’s principle that whoever takes the sword dies by it, we can deduce that those who win by violence, force and the sword must maintain it through a bigger violence, larger force and a huge sword. Persia also falls to another weaker power, Greece but as usual, through the same principle and method of conquest–violence, force, the sword and compulsion. Greece also falls to Rome through the same mechanism of violence over violence. Rome goes through five stages of “diverse” governmental systems: the Imperial System, ‘Monarchical Democracy’, Papal Church-State, Democracy-Republicanism and Conglomerate One World Government. However, the underlying principle of all these world powers is the use of the sword, violence, force and compulsion to maintain law and order and to establish peace. We don’t need a rocket scientist to tell us that peace obtained through the sword doesn’t and won’t last. But there is one governmental principle that lasts. 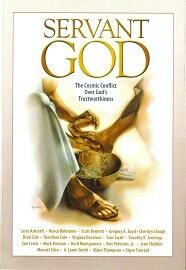 At the end of Daniel chapter 7, God shows another power which conquers all the preceding powers and remains forever. Daniel describes it this way, “I was watching in the night visions, And behold, One like the Son of Man, Coming with the clouds of heaven!… Then to Him was given dominion and glory and a kingdom, That all peoples, nations, and languages should serve Him. His dominion is an everlasting dominion, Which shall not pass away, and his kingdom the one which shall not be destroyed” (Dan 7:13,14). How come this power of the “Son of Man” would never be destroyed by another power? The traditional interpretation has been that it is because God is omnipotent, therefore when He crushes all the world powers by His limitless compelling power, violence and force, there will be left no one to ever challenge God again. But is this what the principle of the sword teaches us about God’s government? A big no. God demonstrates through history that not even His omnipotent power could establish peace through force, violence and compelling power. If He could, then rebellion would not have occurred in the first place, and there would have been no need for God, man and angels to suffer all these heartaches for more than 6000 years. Why does the kingdom of the “Son of Man” last forever? This is it, it operates on an opposite principle to all the powers that we have seen in history. He never uses the sword, force, nor compelling power. His is the “Sword of the Spirit”–TRUTH, LOVE AND FREEDOM. In this kingdom, the King and His “servants” present the truth in love and leave people free to receive or reject it. Instead of force, freedom; instead of killing His opponents, He dies in their place; instead of compelling His subjects to submit, He transforms and melts their hardened hearts by the revelation of His never changing love for them. And for those who will never choose to be conformed to His image, He leaves free to “depart from His presence” and to “Cry to the rocks and mountains to hide them”. However know that to depart from God means death. “…Yes, woe to them when I depart from them!” (Hosea 9:12). “The earth was dark through misapprehension of God. That the gloomy shadows might be lightened, that the world might be brought back to God, Satan’s deceptive power was to be broken. This could not be done by force. The exercise of force is contrary to the principles of god’s government; He desires only the service of love; and love cannot be commanded; it cannot be won by force or authority. Only by love is love awakened. 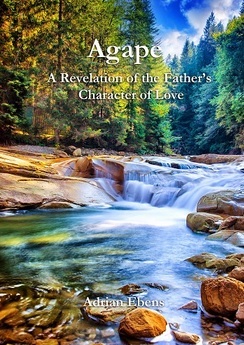 To know God is to love Him; His character must be manifested in contrast to the character of Satan” (Desire of Ages p. 22). So we see clearly the difference between the two opposing principles. God’s government never uses the principles, methods or ways of earthly powers. His is true love and freedom. 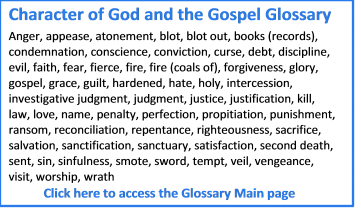 This is how come an omnipotent God who creates by His word and sustains the entire universe by the word of His mouth could not put down Lucifer’s and Adam’s rebellion by His omnipotent might. He suffers for more than 6000 years of earth’s history and perhaps zillions of years in bearing with Lucifer in heaven. This is the demonstration of true love, and since God is love, and love suffers long, God has suffered for all these long years, patiently waiting till His subjects will learn the truth that MIGHT NEVER ESTABLISHES RIGHT NOR PEACE! “God could have destroyed Satan and his sympathizers as easily as one can cast a pebble to the earth; but He did not do this. Rebellion was not to be overcome by force. Compelling power is found only under Satan’s government. The Lord’s principles are not of this order. His authority rests upon goodness, mercy, and love; and the presentation of these principles is the means to be used. 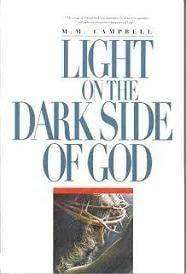 God’s government is moral, and truth and love are to be the prevailing power“(Desire of Ages p. 759) . Unfortunately, majority of the world’s inhabitants have not learned this yet, and for their sake Christ delays His coming until “God’s servants are sealed in their foreheads” with the knowledge of God’s principles, methods and ways in contrast to Satan and the World’s principles of governance. It is so sad that just like the Jews who wanted to establish God’s kingdom using Man and Satan’s methods, Religions and the Christian world have been repeating and will repeat the same error. Many read the scriptures and all they understand from them is the use of might to put down rebellion, they don’t see any other alternative than that. O, man! How much more successful has the Adversary been in deceiving “the whole world”? (Rev 12:9; 13:8). “Thus says the LORD: ‘Let not the wise man glory in his wisdom, Let not the mighty man glory in his might, Nor let the rich man glory in his riches; But let him who glories glory in this, That he understands and knows Me, That I am the LORD, exercising lovingkindness, judgment, and righteousness in the earth. For in these I delight,’ says the LORD.” (Jer. 9:23,24). God wins in the end, but it is “Not by might nor by power, but by My Spirit,’ Says the LORD of hosts.” (Zech. 4:6). Praise the Lord!